Another example of using the negative space to create a sense of balance with the positive. Here the leaves fill the lower left area giving it density, yet the introduction of only a minimal portion of the subject anchors the upper right and works with the space to create harmony in the composition moving the viewers eye up and off the page. 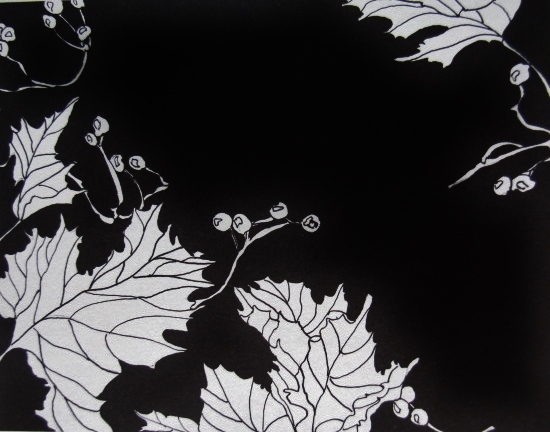 You are currently reading Leaves in Space at Dr. Mary McNaughton and Drawing.